Restoration. If you have ever been to the Corvette Connection then you would know that most aspects of the operation involve the restoration of all makes of Corvettes. 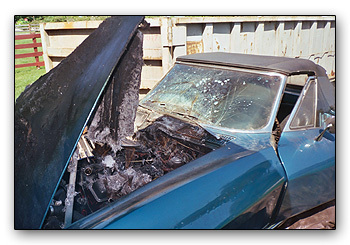 Over the last thirty years, we have been able to undertake some of the most complex of Corvette restorations. We have considerable experience in the design and construction of bespoke bodies and bodywork modifications. When restoring an original Corvette, great emphasis is made on detail. That's why New England Corvette owners keep coming to the Corvette Connection. 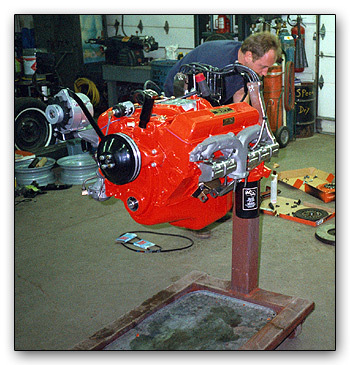 From a complete restoration to a rough engine, Corvette Connection offers over thirty years experience in Corvette repair and restoration. 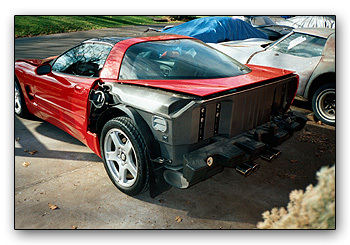 Accident?...we make it easy to repair your Corvette. Corvette Connection is highly rated with all the major insurance companies, which means we don't cut corners...We do the job right the first time. Dealing with adjusters can be nightmare. Corvette Connection will support you to get the correct parts and save you the time and hassle. Expect the best for your Corvette.. Call us today!